It looks like PM Narendra Modi biopic will finally release in India this week after all. The film made on the life of India's current Prime Minister Narendra Modi was facing trouble over its motive and content. The movie, starring Vivek Oberoi in the lead was accused of being a propaganda mouthpiece for the ruling government. A petition had also been filed in the Supreme Court against the release of the film, following which PM Narendra Modi's release date had to be pushed from April 5 to April 11. But it also looked like the movie might not release this week too, considering it is also the week when the 2019 Lok Sabha Elections are beginning in India. 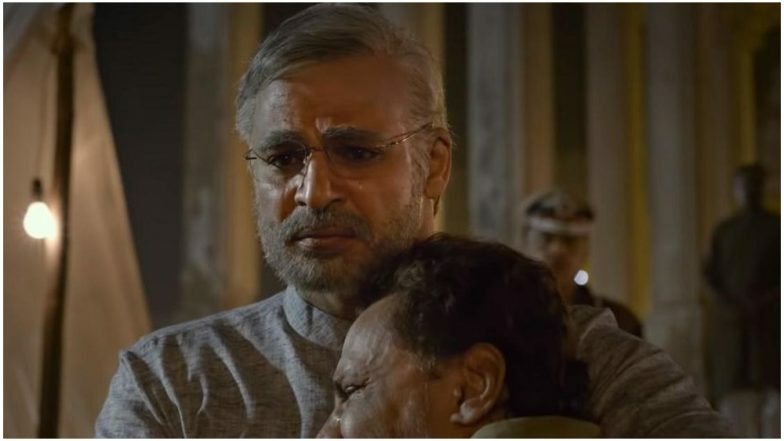 PM Narendra Modi Biopic: Supreme Court Rejects Plea Calling for Ban on Vivek Oberoi Film, Asks Election Commission to Decide. However, two things worked in favour of PM Narendra Modi biopic. First thing is that the Supreme Court has refused to ban the film, pushing the onus on to Election Commission to see if the biopic can affect the elections. Secondly, the Central Board of Film Certification (CBFC) aka the Censor Board has passed the film with a U certificate, as per trade analyst Taran Adarsh. The movie's runtime is also revealed to be about two hours 10 minutes. It is interesting to see that PM Narendra Modi managed to get a U certificate, when the trailers show that scenes involving riots are being depicted in the film. With the movie now getting clearance from both Supreme Court and Censor Board, we expect PM Narendra Modi to make it to the theatres on April 11. PM Narendra Modi Biopic: Amid Controversies, Makers Declare Film's Release in 38 Countries Including the US and UK. PM Narendra Modi is directed by Omung Kumar, and produced by Suresh Oberoi and Ssandip Singh. The movie also stars Boman Irani, Prashant Narayanan, Darshan Kumar, Manoj Joshi and Zarina Wahab.